According to this press release on isicad, the first version of the Russian Geometric Kernel (RGK) will be shown at COFES Russia 2013 to be held at St. Petersburg at the end of May. 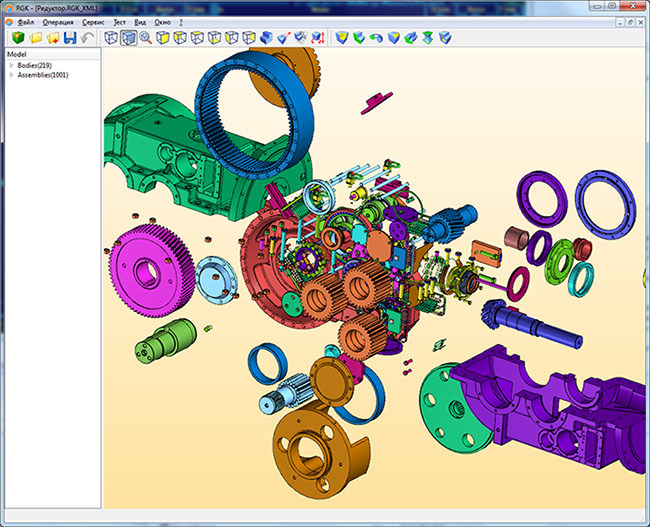 Top Systems and Ledas, two Russian CAD software development companies have been working as contractors for STANKIN Moscow State Technlogical University developing this kernel for some time now. The press release came with this screenshot of what appears to be a test application using the kernel. Top Systems has its own MCAD product called T-Flex, which uses Parasolid as its modeling kernel. So I’m guessing they could be one of the first companies to dump Parasolid and use RGK instead. And speaking of Parasolid, SolidWorks CEO Bertrand Sicot wrote in a blog post today that there was no end-of-life plans for the Parasolid based version of SolidWorks. For a long time now SolidWorks management has been maintaining that customers don’t care about which modeling kernel is being used by their CAD system. I’m glad they have started to think otherwise.